Everyone needs a rainy day fund. A rainy day fund isn’t an planning-for-the-apocalypse type emergency fund. Although, we all need to be working on one of those, too. A rainy day fund is for less catastrophic circumstances. For instance, an out of town wedding you forgot to plan for or a plumbing emergency. 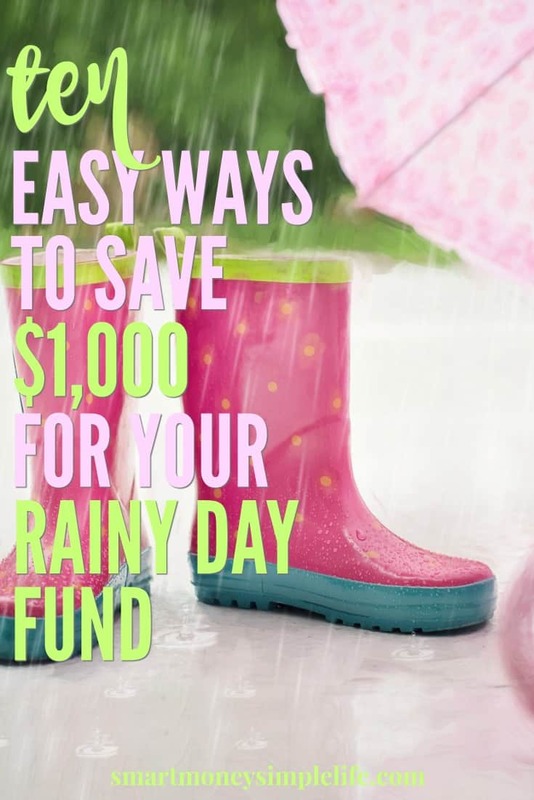 Your rainy day fund is an easily accessible amount of money ($1000 is a good amount) that you can use when something you hadn’t planned for arises. It saves you having to rely on quick credit to get you out of a bind and is step one of Dave Ramsey’s 7 Baby Steps. If you’ve never been much of a saver, $1000 can seem like a huge amount of money. When you break it down, it’s a lot less daunting. To save $1000 over the course of a year, you need to put away less than $3 per day. Less. Than. Three. Dollars. So, grab a jar or a tin or open an additional savings account right now. And start saving. Today. Here are ten different ways to save roughly $3 (or the equivalent over time) every day. Pick one and do it every day or mix and match the suggestions to add some variety to your savings routine. Or, if you want to get to your $1000 savings balance quicker, stack your savings by doing two or more per day. Remember, when you save that money, make sure you save it! Put it in a jar or transfer it to your special savings account at the end of each day. Vices that destroy your health and your wealth need to go. Quitting smoking really is a no-brainer but, having been a smoker myself, I know how incredibly difficult it can be to shake the habit. I quit cold-turkey with the help of this book and so did my dad. I highly recommend it. Here’s the Kindle version . Given that the local price of a cigarette is around $1 (yes, for a single cigarette), just cutting down will save a considerable amount of money. By commercial beverage I’m referring to anything you buy in a can, bottle or cup. Soda, milkshakes, iced tea. You don’t need to give them up completely, just one less per day. That goes for grabbing a latte to go on the way to university or after the school run. Invest in a travel mug and brew your own at home. Try out one of the many smartphone shopping apps or if you’re less tech savvy, start using coupons (where and when it makes sense) to save money on the things you need to buy. Emphasis on need! Ask your HR officer or your paymaster to split your payment between two (or more) different accounts. For example, if you’re paid fortnightly, transfer $40 straight into your savings account. This is a great example of paying yourself first. Studies have shown time and time again that when we use cash, we spend less. There’s a very real connection between us and our cash that doesn’t exist between us and our credit cards. When we spend cash we see the cash we’re spending but when we use a card, our focus shifts to what we are buying. As a result, we can spend anywhere between 10 – 20% more when we use a card instead of cash. 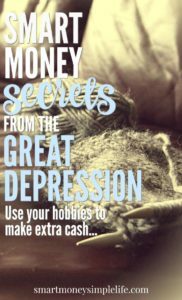 It’s also much easier to stick to your budget if the cash in your wallet has to last until payday. We all know there’s no such thing as a free lunch, but there’s also no such thing as free entertainment. You might not pay an admission fee but you still need to get there and probably pay for parking, too. And, even if you take your own snacks, you’re probably going to want a cold drink, or ice-cream or maybe a coffee… Those things add up pretty quickly. And that’s free daytime entertainment. If you buy your lunch every day, you’re going to be spending in the region of $10 per day. Pack a couple of sandwiches or last night’s leftovers and the cost of your lunch plummets. The food’s better, too! Most families can easily save themselves around $20 per week just by eating at home every night. Menu planning enables you to take advantage of items you already have in the pantry, freezer or fridge, plus whatever is on sale that week and even coupon deals. Menu planning also saves money through less wasted food. And add to it each week. Keep the envelope in a safe place. Sometimes it’s not about finding $20 per week to save. It’s about putting the money aside and actually saving it. Take charge of your finances and get your rainy day fund started today. Find that $20 per week and put it where you can’t spend it. You’ll be surprised at how quickly it grows and how addictive saving can become. 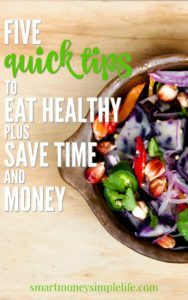 Can you add any $3 per day savings tips? Feel free to share them in the comments. P.S. Remember to follow Smart Money, Simple Life on Pinterest, Facebook and Twitter! So once you add the $3.00 per day a week that equals $21.00 then multiply it by 4 ( 4 weeks of a month ) equals $ 84.00 a month . That’s quite a bit for us living paycheck to paycheck. That $21.00 is basically gas money for one of our vehicle. What about putting away $5.00 a month?